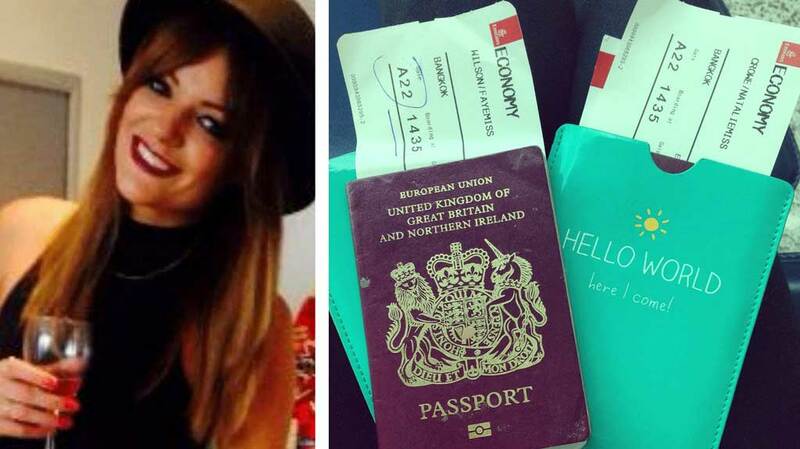 A British woman was refused entry into, and deported from Thailand by border officers after ripping pages out of her passport to use as toilet paper when she was drunk. Faye Wilson was forced to turn back at the Thai airport and was escorted all the way back to the UK by a security guard after they spotted the missing pages. She said she had been too mortified to reveal the truth and tried to claim she had "lost" them - but the sceptical officers promptly deported her. Meanwhile, the friend she was travelling with has stayed in Thailand. What's more, she said she does not remember much about the night in question. "We were walking from one bar to the next and we must have been desperate for a wee and obviously didn't have any toilet roll," she said. "We decided it would be a good idea to use my passport, which is obviously really stupid. It was maybe two or three pages. I was a bit drunk so didn't even think about the consequences." She has had to return home to the Lake District and apply for an emergency passport before she can attempt the trip again. She had been planning on spending a month in the Asian country before moving on to work for a year in Australia. "Thai immigration just opened my passport and started looking through it, and asked 'what's happened here'?" the hairdresser, aged 28, said. "I just said that I had lost the pages because I was too embarrassed to explain the real reason. Before I could explain more, they had deported me back to Dubai and then to Glasgow and confiscated my documents. I felt like I was a criminal - people were looking at me wondering why a border official is someone sat with me the whole time. I don't know what a criminal looks like but I'm not one."